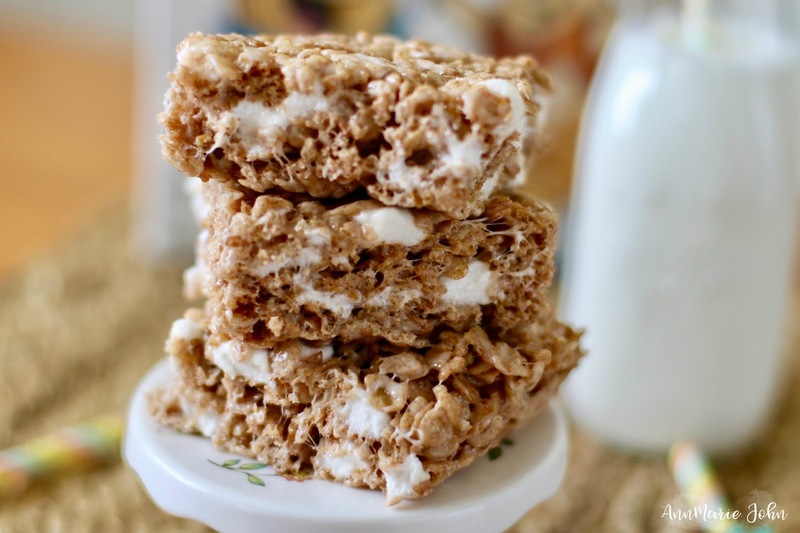 These Cinnamon Pebbles no bake treats are fun to make and even more fun to eat. It's a Saturday afternoon and Madison and I are in the house with "nothing to do" - Madison's exact words. Madison is of the impression that as long as we're home we should always be doing something. It's also the day that we bake cookies and treats. However, today I wanted to do something different. We are a big fan of Fruity Pebbles but had just recently received the NEW Cinnamon Pebbles which we've now come to also love. I'm a big cinnamon junkie and like adding it to most of my dishes. However, Madison wanted a bit of a treat, so I decided to make some cinnamon pebbles no bake treats. They were so easy to make and she was able to eat them within 20 minutes. Step 1: Melt your butter and and 4 cups of mini marshmallows in a nonstick pan over low heat until it is throughly melted. Make sure that the marshmallows are melted with no lumps. Step 2: Once it's melted to your desired consistency, remove from heat and add your cinnamon pebbles and the other 2 cups of marshmallows. Stir until everything is mixed completely together. Step 3: Grease your baking dish with either butter or a nonstick spray and pour your mixture into the dish. You can either use a spatula or your hands to get it in completely. Step 4: Place in the refrigerator to cool. Next cut into squares once it's completely cooled. Enjoy some ooey-gooey cinnamon goodness! 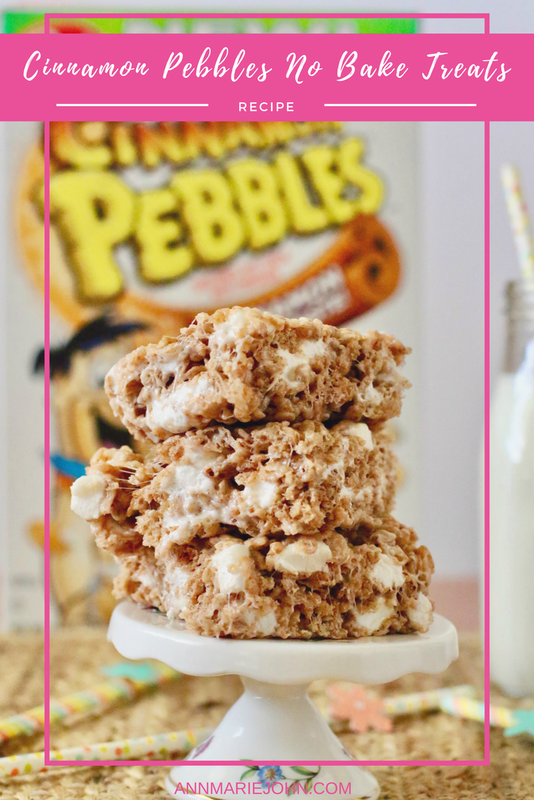 The innovative new Cinnamon Pebbles cereal stays true to the fun of the classic Pebbles cereal, but with a creative flavor twist, packed with cinnamon sweet taste. Similar to the classic Fruity and Cocoa Pebbles brands, Cinnamon Pebbles cereal will provide a total sensory overload as soon as you open a box, with the sweet cinnamon smell coming to life. 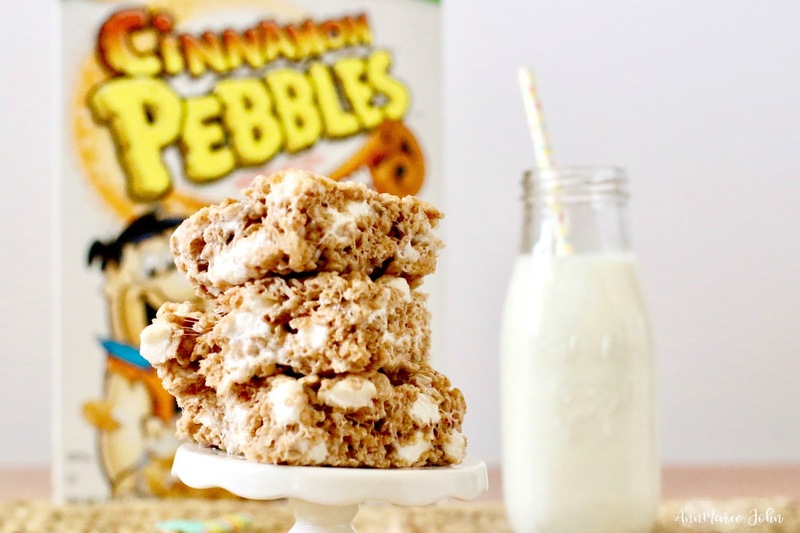 Whether eaten straight from the box, poured in a bowl with milk or added into recipes, Cinnamon Pebbles delivers great taste for cereal lovers of all ages. A bowl of Cinnamon Pebbles provides delicious cinnamon sweet taste that kick-starts happiness in your day. 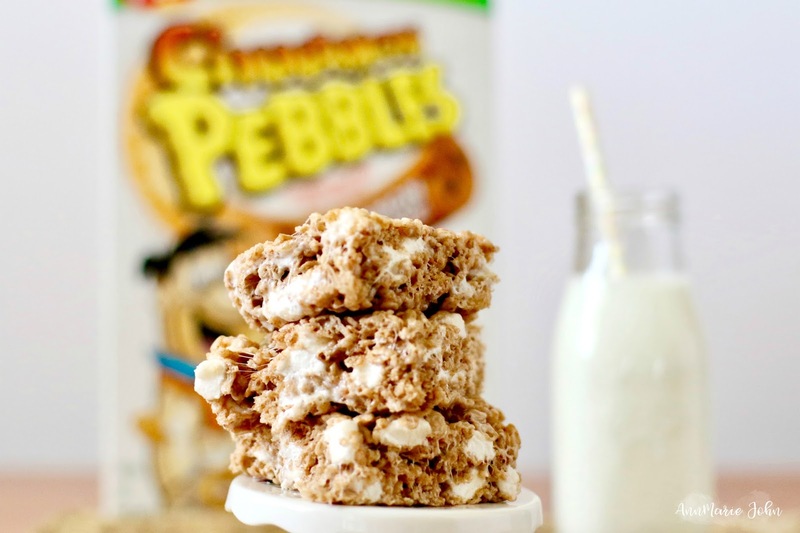 Recipes such as Cocoa Pebbles Churros or Fruity Pebbles Cereal Milk Doughnuts can easily be made with Cinnamon Pebbles for a unique twist on these traditional sweet treats. Available at select grocery stores nationwide, Pebbles fans can find the new Cinnamon Pebbles at a store near them by visiting postconsumerbrands.com/store-locator.